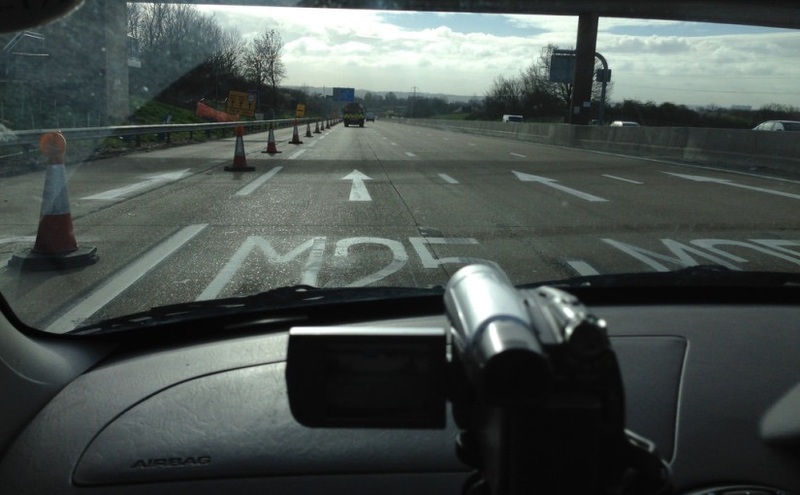 Since 1997, the M25 has been the subject, canvas and location of a unique and unfolding work of performance art. Gimpo, ex-KLF roadie and factotum of Bill Drummond, has driven round the infamous London Orbital for 25 hours, once a year. He will continue to do so until 2021 on a 25- year mission of discovery. He calls it The M25 Spin. Dominic Wade has been given unprecedented access to Gimpo and his world in order to document The Spin. He will be joining Gimpo and his crew every year until 2021 as they seek to find The End Point Of A Circle. Gimpo is an unusual and endearing character, and he’s seen a lot in his many years on the road. He was one of the few witnesses to the K Foundation’s anti-art establishment actions, which led to the burning of a million pounds on the Isle of Jura in 1994. Bill Drummond accompanied Gimpo on the first Spin. Footage of that day was shot by Gimpo on VHS and will be included in the film. The M25 Spin is part performance artwork, part club venue (the references to rave culture and its restless, mobile nature are clear) and part motoring oddity (it’s still possible to buy DVDs that are exclusively footage of a circuit of the M25. It’s entirely likely that Gimpo owns one of these tapes). Featuring interviews with Bill Drummond and Iain Sinclair, The End Point Of A Circle will document, embrace and eventually become part of the whole process. Whatever else happens, The Spin will make a mark on its completion. Even if it’s just skid marks somewhere near Junction 27. Take a look at the 2013 cut of The End Point Of A Circle, which was screened at the opening night of that year’s Portobello Film Festival.